Product prices and availability are accurate as of 2019-04-21 00:34:00 UTC and are subject to change. Any price and availability information displayed on http://www.amazon.com/ at the time of purchase will apply to the purchase of this product. Designed for use with KitchenAid stand mixers (sold separately), this pasta-roller attachment offers a fun and authentic way to enjoy traditional Italian cuisine at home. The metal unit attaches easily to the mixer's hub, and its multi-height function allows for creating thick or thin sheets of pasta as desired. 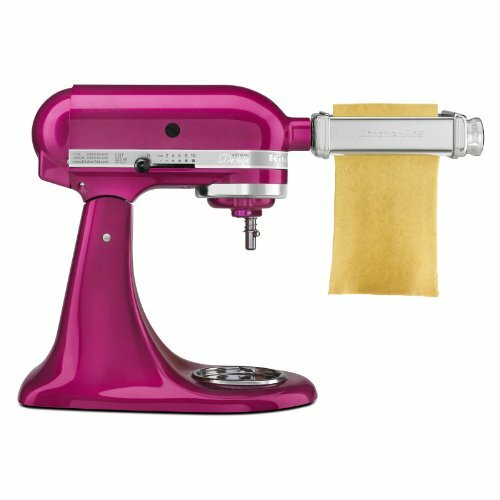 Furthermore, its efficient rollers turn out 6-inch sheets of pasta--perfectly sized for feeding into KitchenAid pasta cutters and ravioli makers (sold separately) to create fresh lasagna noodles, fettuccini, linguine, and other delicious appetizers and main dishes. Alternately, roll the full-size sheets with spinach, ricotta cheese, and prosciutto to create mouthwatering cannelloni that tastes straight from the hills of Tuscany. 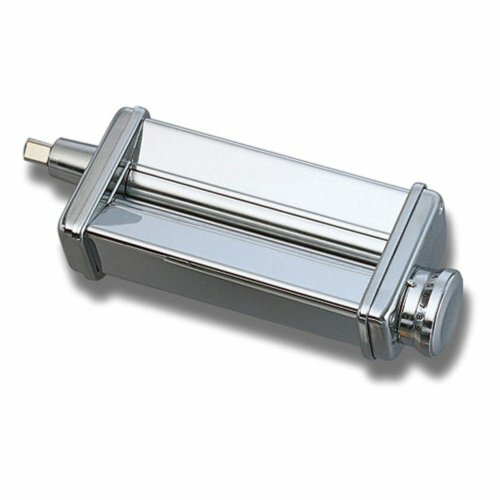 The hand-washable pasta-roller attachment measures approximately 3-1/2 by 9-3/5 by 2 inches and carries a one-year limited warranty.